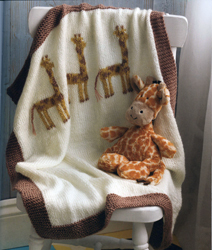 needs these knits - and every knitter needs this book! 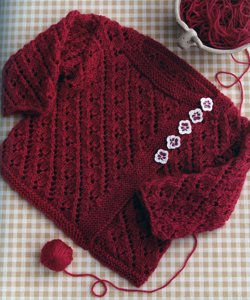 and Baby yarns are 55% Nylon / 45% Acrylic. 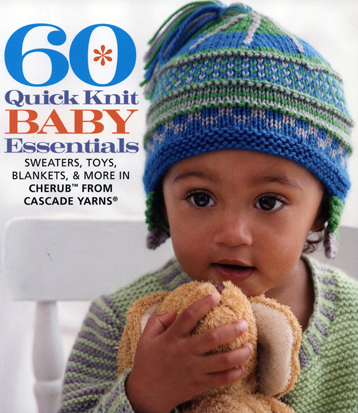 In 60 Quick Knit Baby Essentials, dozens of talented designers have created one of the most original and adorable collections of baby projects ever, inspired by Cascade Yarns® easy-care Cherub line, acrylic blends of unparalleled softness. 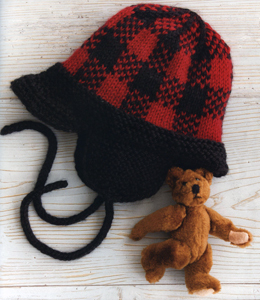 From sweaters to blankets to onesies to toys, from simple garter stitch to cables, colorwork, and lace, these delightful designs are true essentials for every knitter and every baby. 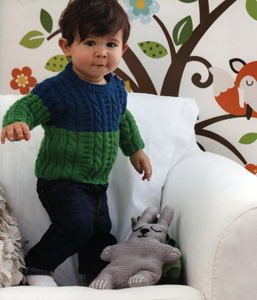 Each pattern is made in our cuddly Cherub collection, a popular, well-priced, ultra-soft nylon/acrylic yarn.